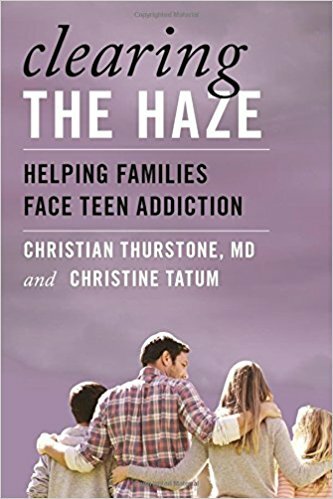 Every week, parents looking for help with issues and problems related to substance use contact us through this website — so my wife, journalist Christine Tatum, and I have written a book designed to help them act quickly, efficiently and effectively to care for their children. We’re grateful to former U.S. Rep. Patrick J. Kennedy, a tireless advocate for mental healthcare and addiction treatment, for writing the book’s foreword. We also thank you in advance for reviewing the book and recommending it to others. Again, we welcome questions. “If so many teens are using substances, what’s the big deal, right? Isn’t it normal to experiment like this? After all, teens will be teens — and a lot of parents had their own flings with smokes and drinks, so shouldn’t we just chill out and let our kids navigate the world of substances in much the same way we were expected to? “That sounds like a plan — if you take your cues from industries selling addictive substances and are good with remaining in twentieth-century mindsets and approaches to drug prevention and treatment. “Science of only the last decade is sounding serious alarms about adolescent drug use. In just the last five years, researchers have discovered more than the world ever has known. Unfortunately, the gap between what reputable science knows about adolescent substance use and what the general public believes about it has never been wider. “People profiting and otherwise benefiting from the sale of addictive drugs want to keep it that way. The alcohol and tobacco industries maintain legions of lobbyists to influence public drug policies and spend billions of dollars on media each year to influence public opinion. Now, the marijuana industry is on the rise — fueled largely by legislative and popular votes that opened the doors to more mountains of misinformation. “Yet it is very difficult to hear addiction scientists and world-recognized substance treatment experts like Dr. Volkow and all the peer-reviewed research studies published in prominent medical journals over the din of billion-dollar advertising and public relations campaigns launched by companies deriving most of their profits from addiction. They want us either stuck in outdated mindsets or embracing their latest clever — and often insidious — slogans and narratives because they fear what would happen if more of us understood brain development science of the twenty-first century and challenged ourselves and our communities to rethink public policies and social norms surrounding drug and alcohol use.